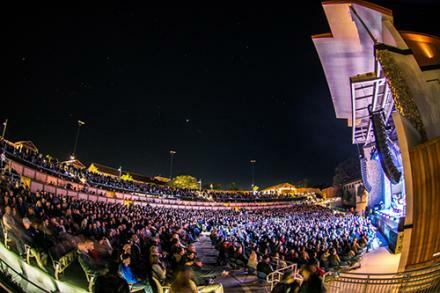 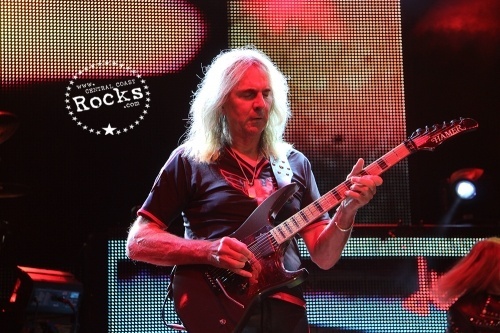 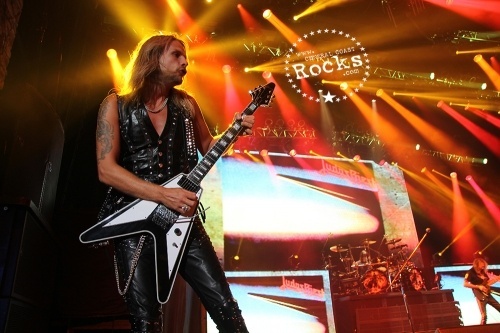 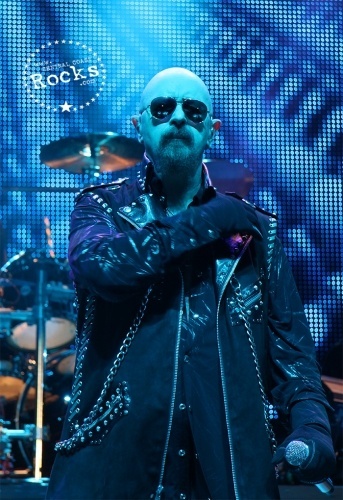 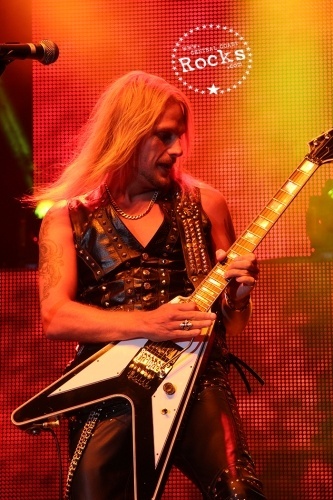 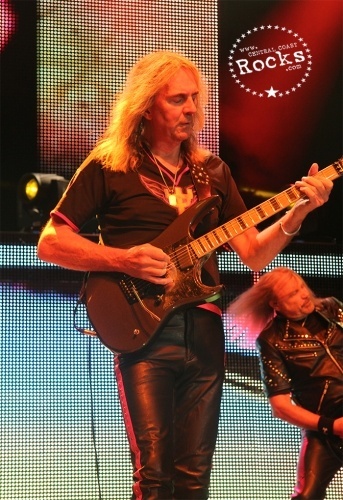 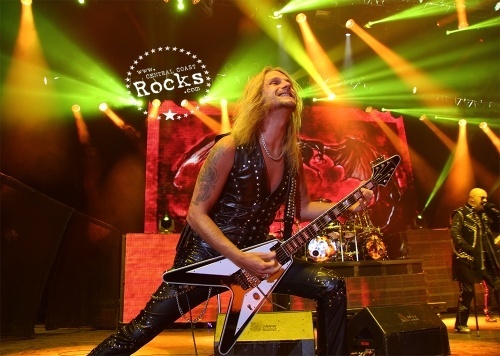 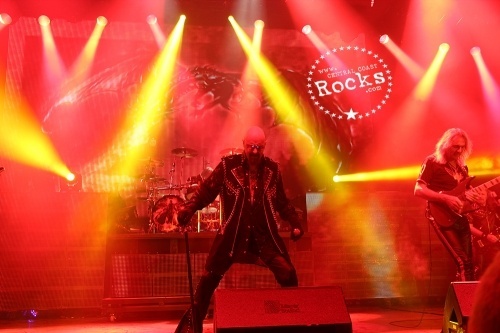 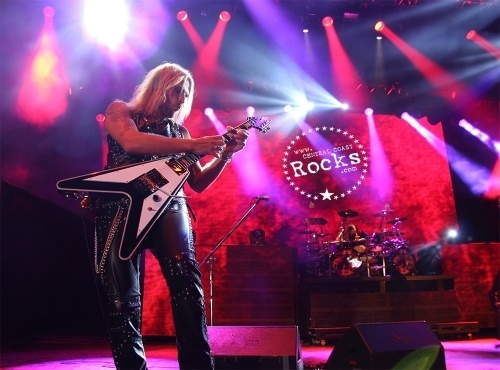 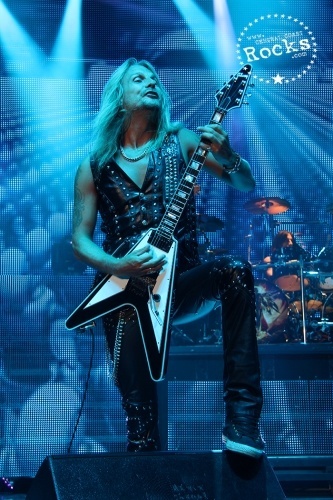 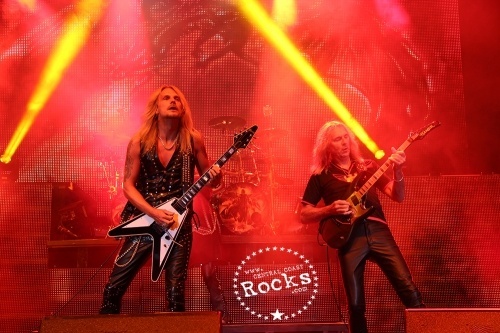 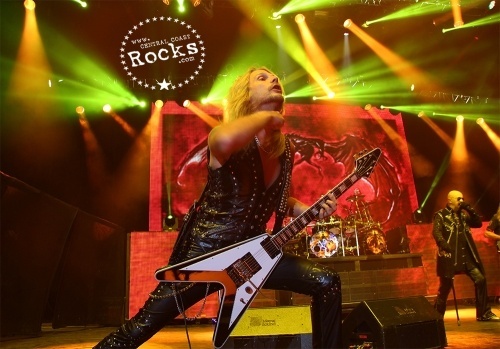 Due to the overwhelming success of Judas Priest’s 17th studio effort, ‘Redeemer of Souls’ (which became the highest-charting album of their career, when it debuted on the Billboard 200 charts at #6), the band kicked off their fall tour at the Vina Robles Amphitheatre on Friday, October 16. 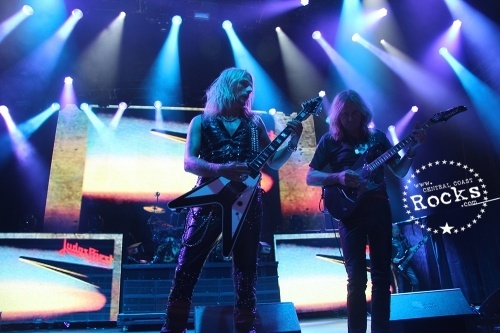 Supporting Priest is one of modern metal’s top bands, Mastodon. 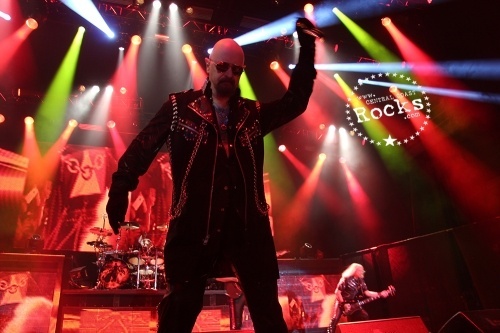 Comprised of Rob Halford (vocals), Glenn Tipton (guitar), Richie Faulkner (guitar), Ian Hill (bass), and Scott Travis (drums), Judas Priest is responsible for some of heavy metal’s all-time classic anthems (“Living After Midnight,” “Breaking the Law,” “You’ve Got Another Thing Coming,” etc.) 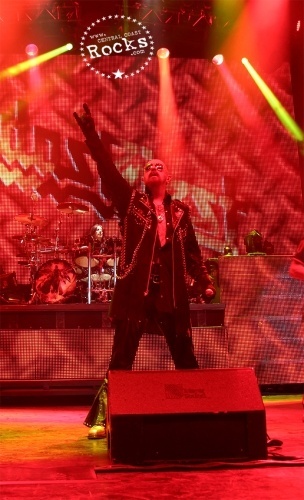 and albums (‘British Steel,’ ‘Screaming for Vengeance,’ ‘Painkiller,’ etc.). 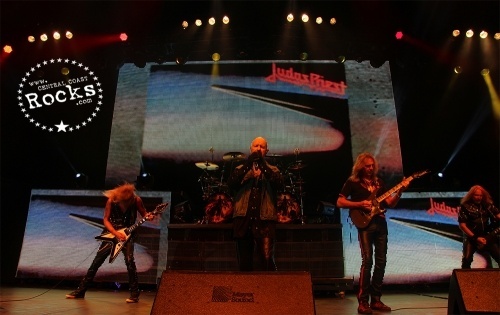 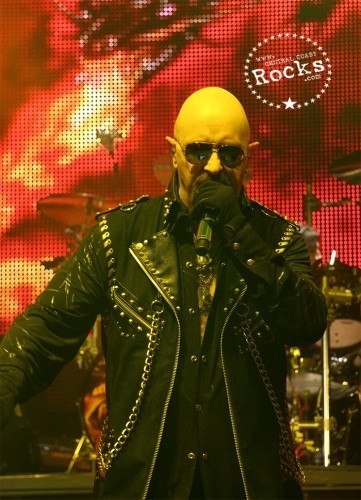 Ever since the release of ‘Redeemer of Souls,’ Judas Priest has been taking their music all over the world. 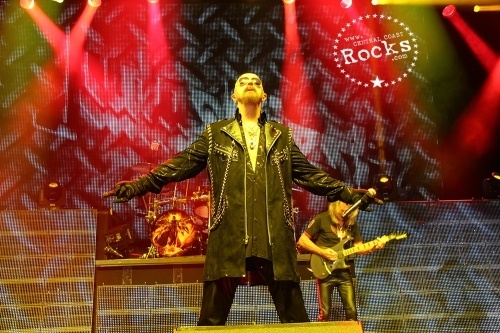 And they are not finished yet! 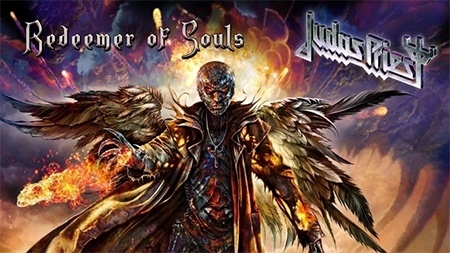 Released in the US on July 8th, 2014 via Epic Records (as a standard version and a deluxe edition with five bonus tracks), 'Redeemer of Souls' is Judas Priest's latest collection of epic metal - "raising the bar is consistent for us and 'Redeemer' hits the ground running" - it matches up perfectly to earlier Priest classics as evidenced by the album's leadoff single 'March of the Damned' ("we are forging ahead, slamming the pedal to the metal!") 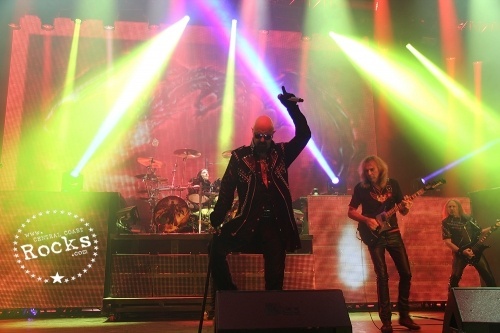 - the band mean business once again.